Another week has gone, did I break any rules? What have I learnt? No spending on ANY make up or skin care. No exceptions. I do welcome free gifts or samples though. 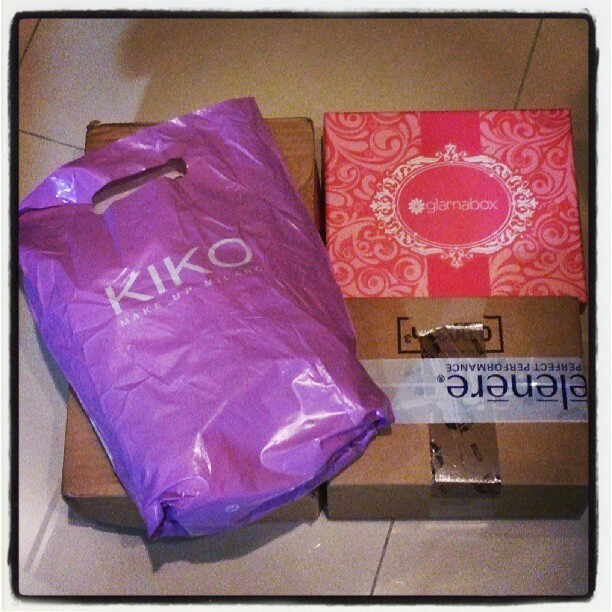 Note: during this span I shall have at least 3 Glamaboxes (all arrived!) coming in, so that can keep me entertained! My 100 Day Spending Ban starts on 1st of April and shall end on 9th of July. As I have planned before the trip, I allow myself to buy skin care but not make up in this trip. However I did 'break the rule' three times, buying minimal make up (I think). 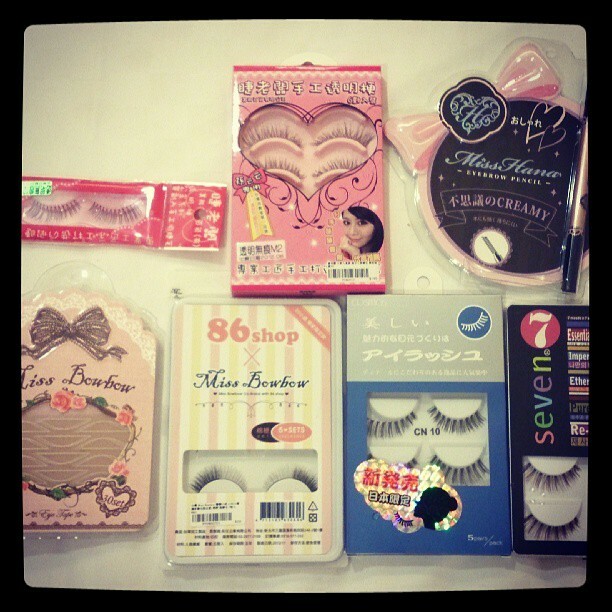 First, I purchased some eye liners from the brand Bebe Poshe (brand link) - it is a brand developed by a group of Taiwan celebrities. As they were on promotion, I picked up four shades that caught my eye. Then I got myself back-up of one of my favourite mascaras of all time - the Integrate Separate; a mascara base slipped into my shopping basket, too! 86 Shop (shop link) is a very popular and well-stocked online beauty store, and they recently opened two real stores, one at ShiDa night market. I did not know this before-hand, so it was an entire surprise to me. Spent quite a bit of time inside (enjoying the air-conditioning) and a very conservative amount of money on products. The only make up item I got was a Miss Hana Eyebrow Pencil. Came home to four lovely packages after my Taiwan trip. A FeelUnique order mentioned last week, the June's Glamabox which came early (yay! ), a bag of heavy UK "stationery" from Sam, and a precious box of Helenere "golden drops" (product link)! Now I have so much to use and write about I have no excuse to break the ban in the remaining 30 days? Indeed I am stronger after these 70 days, I did not expect myself to come back from Taiwan hauling only a few make up items, especially with the 23% off at their Watson's! Making shopping list in ink really helps. I keep a tiny little notebook that I keep in my handbag throughout the journey. I wrote down what I want after viewing leaflets, magazines, blogs, etc, before I walk into the shops. Inside stores, I compare prices and learn more about the products, then I either purchase, or go back, re-think, and eventually delete them from my list. Sometimes, "seeing" can replace "shopping"! It is very helpful to have a good friend (Mr. A) as a companion who constantly reminds me of what I own. He also allows me to visit every beauty store I like, making me embarrassed to re-visit the same chain more than twice! Good job, Mr. A! I will write these down weekly, and after the 100 day spending ban I will look back and see what I really will buy. I suppose this is a good way to see how unnecessary some of my desires are...! I am limiting myself to add one wish per day only, is that considered self-control, too? a. Shop my stash! Blog Sale! Hurray!! Failure or success, I have been 70 days through this spending ban. Starting from next post I will be counting down the last days decade by decade, in three posts. I am one month away from my dear Tom Ford palettesss, are you excited? I see! Thanks for the mail - I have yet to find time to lay them out for pictures... I've been busy and your stuff are really plenty! until I read the comments I thought, What will be the "stationery"
I am less than 30 days from my palettesss!! !